Camtronics Vale place millions of LEDs a year for lamp, luminaire and specialty products that can be proven to show some of the best reliability and yield statistics in the industry. 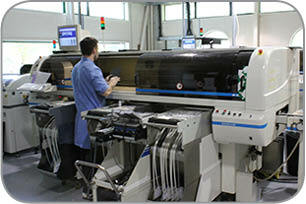 Keeping or moving manufacture in Europe is generally for two reasons – quality and flexibility. Camtronics has the specialist expertise, approach, relationships, and size to ensure that these objectives are met. We are a leading LED placement company. Our vast experience has helped our customers achieve a failure rate of less than one in one thousand luminaires. We have experience in working through the issues of placing LEDs and consistently produce high quality, reliable products. 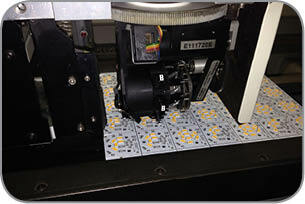 Where required, we are able to procure bespoke tooling specifically designed for placing particular LEDs. This satisfies the specific handling requirements of the devices, helps us maintain accuracy of placement, and ensures a high quality final product. We place millions of LEDs every year and are able to offer cost effective solutions for volume manufacturing and short runs. 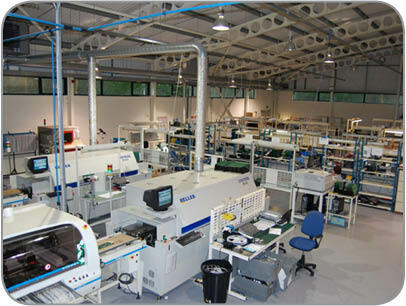 We are small enough to be flexible and adaptable but have also invested in a fully automated SMT line to support higher volume requirements.